This is a story of what can happen if you have so many air miles accumulated that you can take you and your partner anywhere in the world. In 2000, a lawyer, Alan Feldstein, accumulated so many air miles that he could take his wife and himself anywhere they wanted. 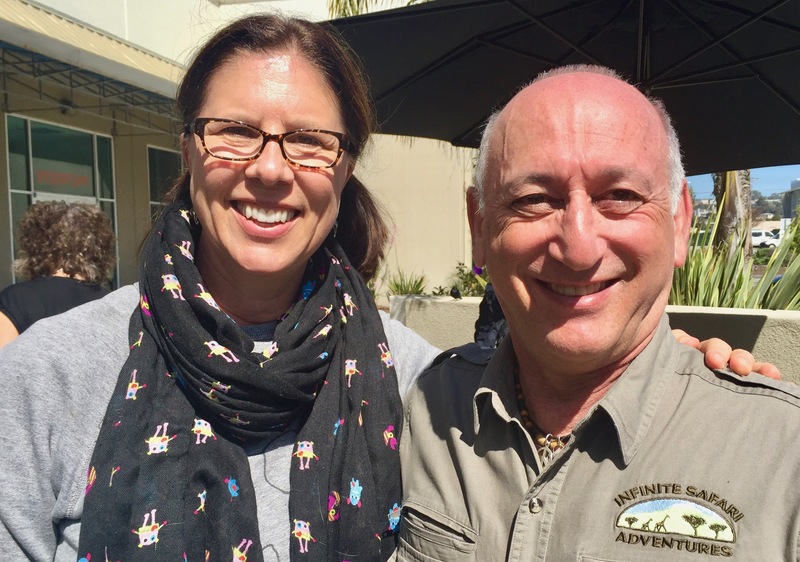 Alan and his wife, Diane decided to take their first adventure to Africa. So off they went. After stepping onto the African soil, Alan and Diane fell in love with Africa and were filled with joy. They soaked in the warmth of the people and their culture, the amazing wildlife and the abundance of natural beauty. I am pretty sure this is where Alan was feeling less like a lawyer and more like an adventurer! It took a few years, but in 2008 Alan decided to take action on his passion and create Infinite Safari Adventures to lead and guide people in travel throughout Africa. He creates customized adventures all over Africa based on his clients interests. But he didn’t just stop at leading people on travel; he also gives back to the communities and to help wildlife survive. Alan is a photographer, member of the Explorer’s Club and Adventurer’s Club of Los Angeles. He supports Maasai with the help of a beaded jewelry and dog collar programs. He has even helped a Maasai man named Patrick, go back to school that lead to Patrick enrolling in college. This didn’t just benefit Patrick but Patrick’s entire community. Alan also serves on the Board of Trustees of the Cheetah Conservation Fund, is President of the Board of The Bird School Project and is on the Advisory Board of Over and Above Africa. I love that Alan realized his passion, ended his career as a lawyer and created Infinite Safari Adventures. His clients come home intoxicated with a profound love of Africa, its people and its wildlife. His involvement and knowledge in conservation help educate his clients on how to be good stewards to the planet and respect the natural world we live in. I am grateful for this. Alan and I after the interview!